At G.H. 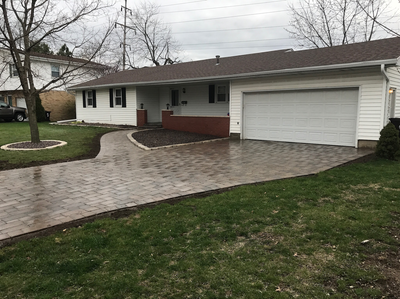 Erickson & Son we offer many stone and brick paver options. 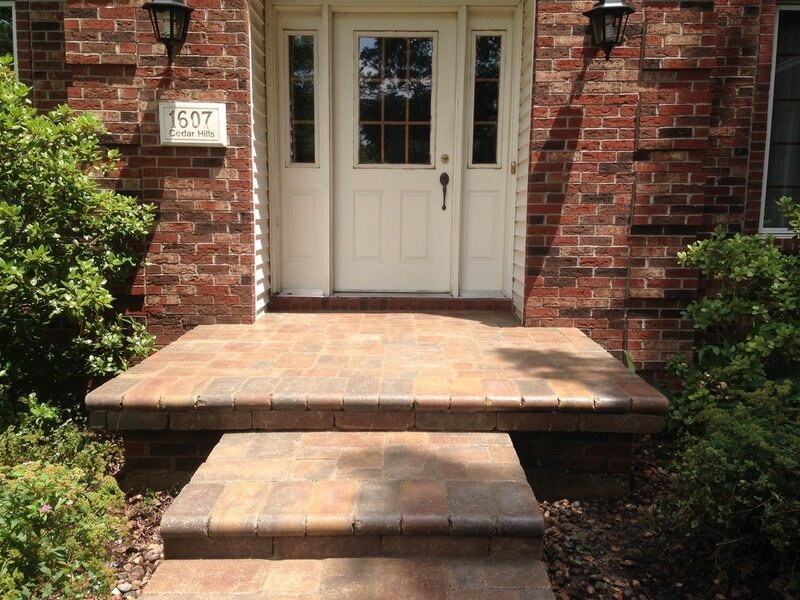 Pavers can be used on porchs, patios, sidewalks, driveways, and steps. There are two main types of pavers. The first is brick. 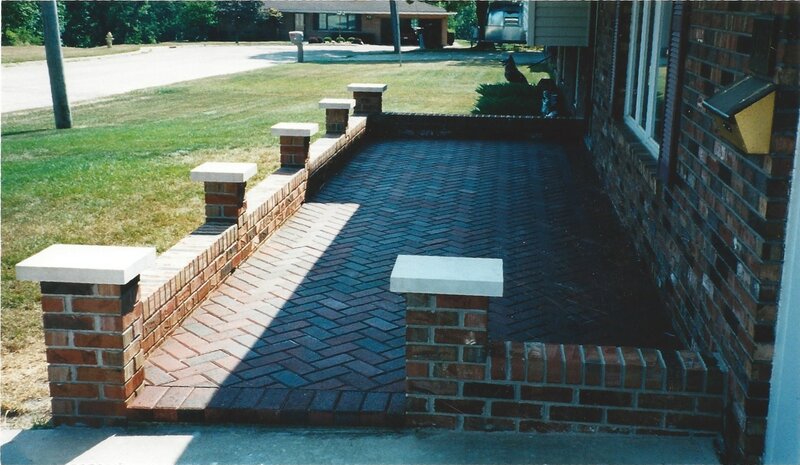 Brick is very durable and appealing product. They come in different colors with or without beveled edges. 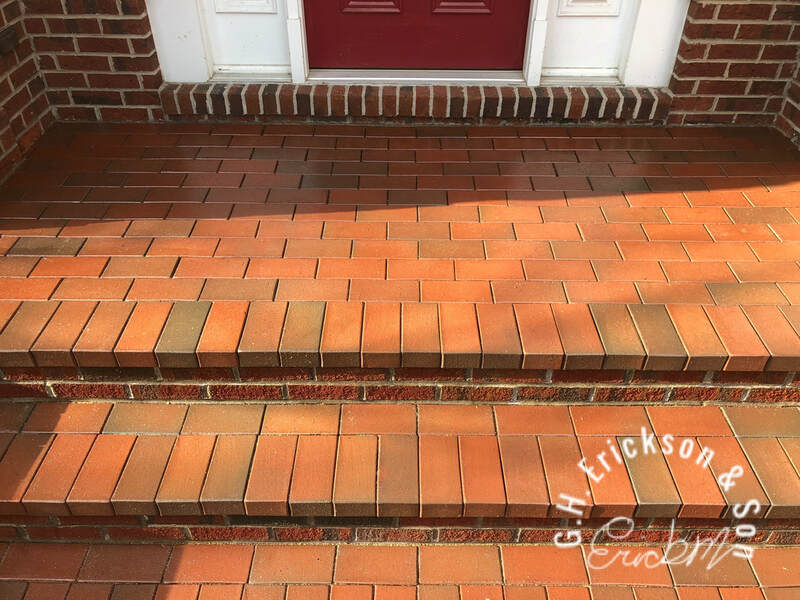 Along with color options, brick can be laid in many different patterns to add style. ​The second option is stone. 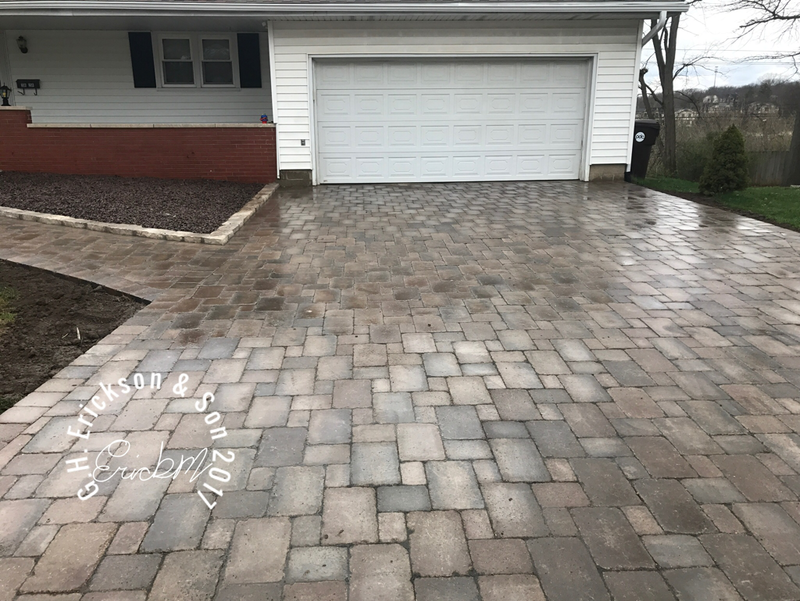 Stone products has gone through many changes. In just the past few years the amount of type and style of stone used is 5 times greater in choices. 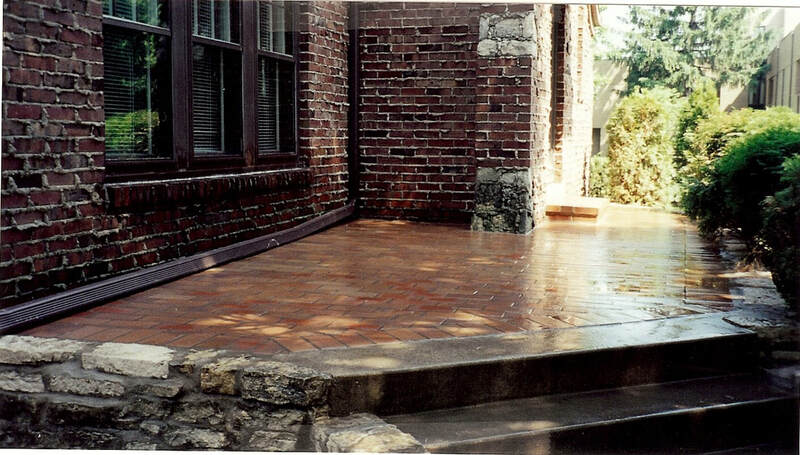 We gone from grouted joints with all brick pavers to using products that have eliminated the need for mortar. 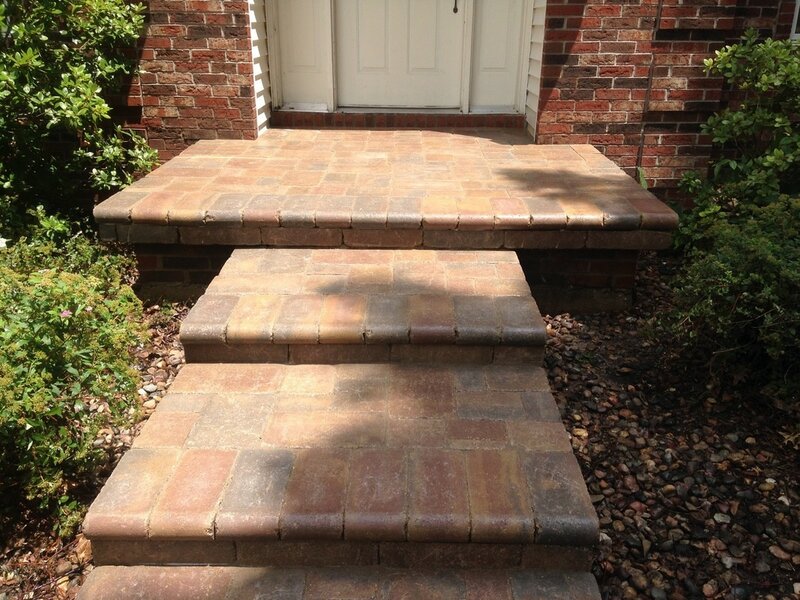 ​Grouted joints where very popular. The problem is with grouted joints is that they require constant maintenance and sealant. 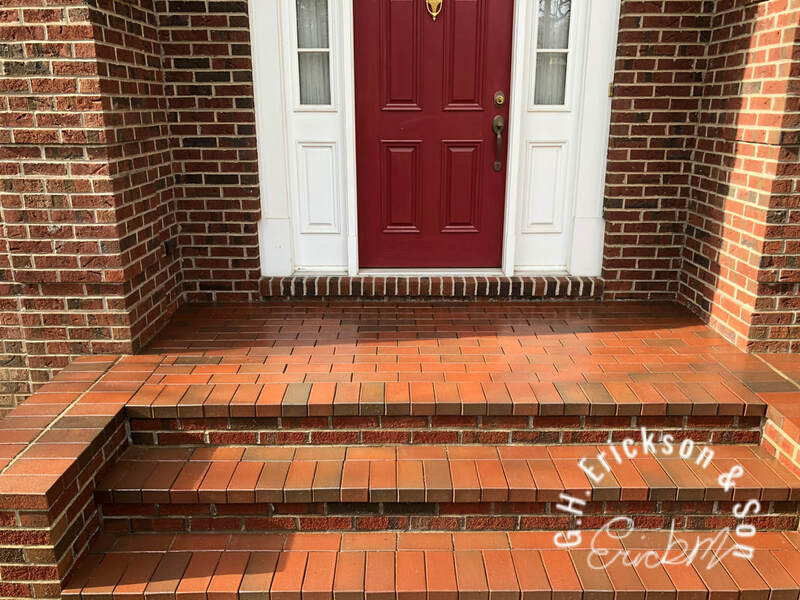 With the weather conditions in central Illinois, and If left in the need of repair, very quickly the damage would spread from the grout to damaging the brick. And as everyone knows, repair cost money. With that in mind, the Industry changed and began adding brick and stone that would illuminate mortar. Here is a example of grouted joints vs using a Brussel Block that doesn't use mortar that we both installed. 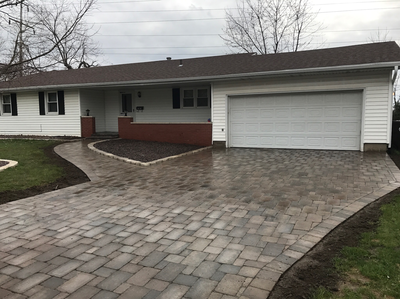 Once a brick or stone paver is chosen, you must consider the type of base that will be used under the paver. The most popular base used is gravel and rock. Each manufacture has detailed instructions as to how to install a gravel base. 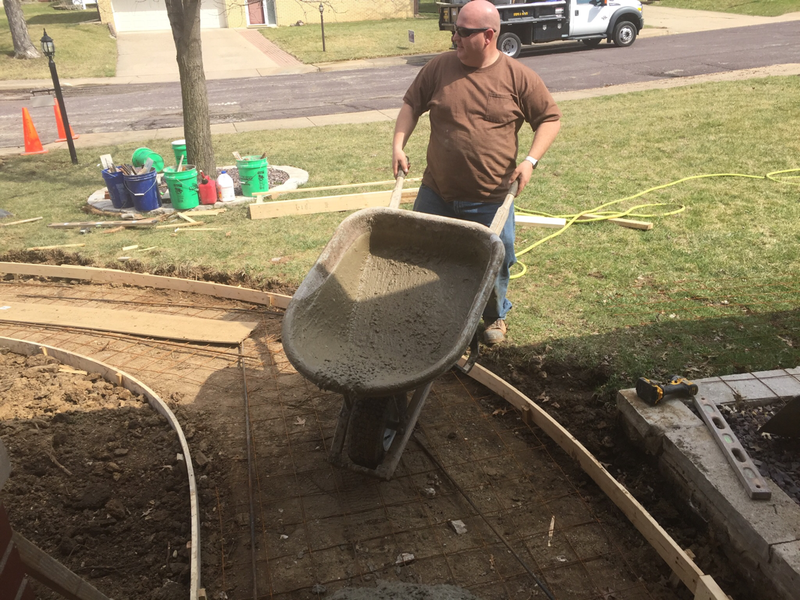 Gravel bases are affective and can be done without extensive training. But at G.H. 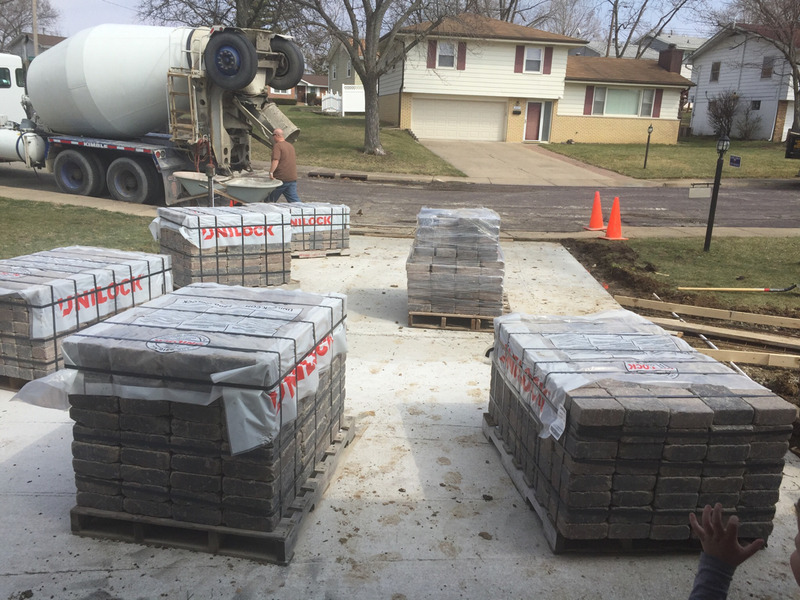 Erickson & Son, we install all brick & stone pavers with a concrete base. 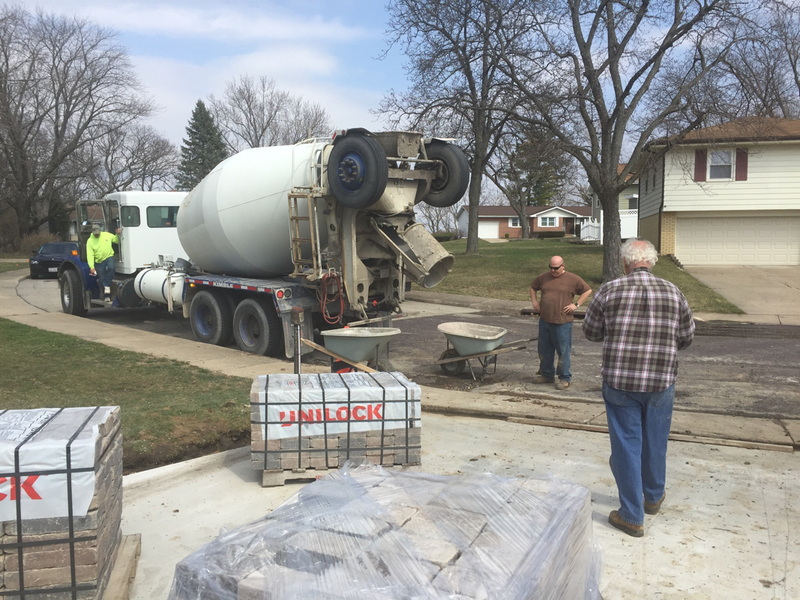 The problem with gravel is that it will always move and drop over time. Areas of concern is that eventually a percent of the product will drop and tip especially well traveled paths. Weeds will always be a problem, even with all precautions taken. 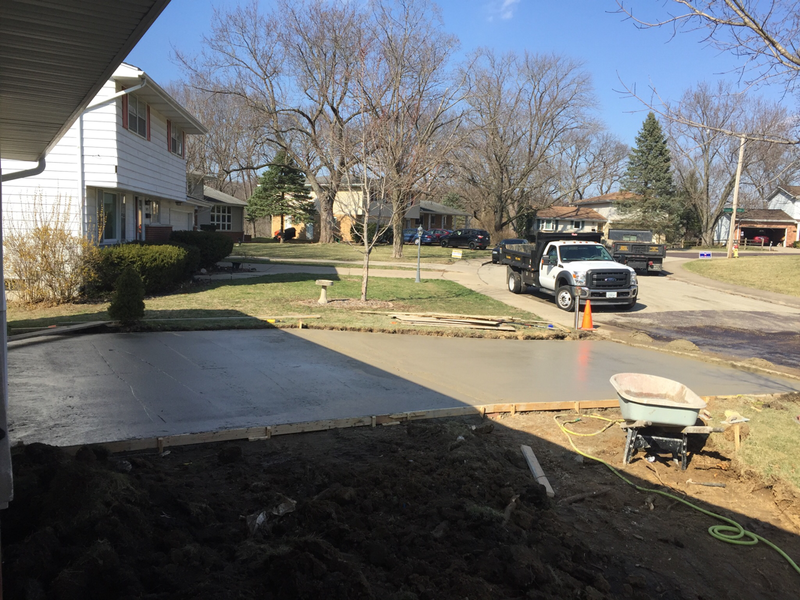 But when concrete is used and properly installed, it truly is a lasting job. 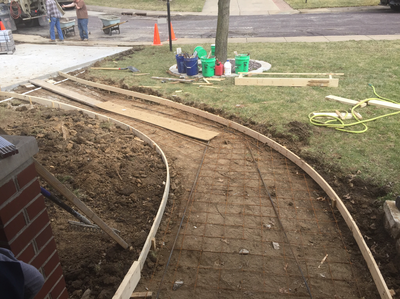 All concrete bases are 4 inches or more thick and rebar and wire reinforced. This insurers a lasting base that remains in place and is able to hold up to the toughest of elements. The main reason concrete bases are not highlighted, is because once concrete is layed it must be exactly done so as to not have any mistakes in height, proper fall, no dips, or uneven surfaces. Driveways, sidewalks, porches, and so on that we have done even over 30 years look great today. 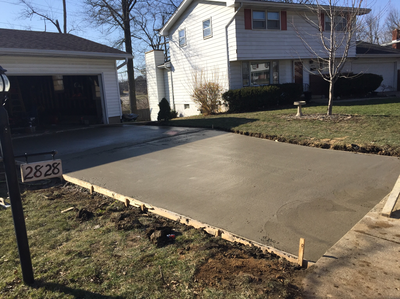 Below are some examples of how we have used concrete bases. As concrete gets older, updating is always needed. Adding stone is a great way to update any surface you have. Call today for more information. 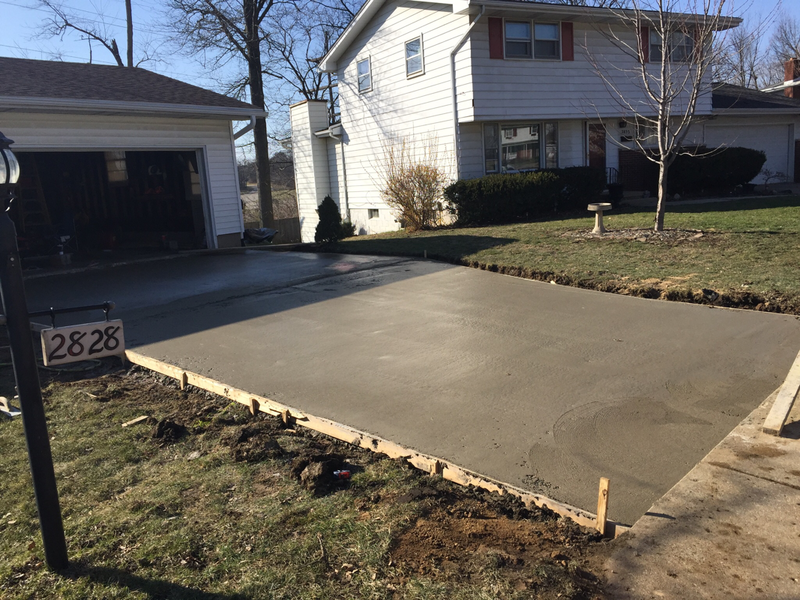 We service all of central Illinois such as Peoria, East Peoria, Morton, Pekin, Dunlap & Washington. After installing a new concrete base, Stone was added! Stone adds an amazing look to any job! 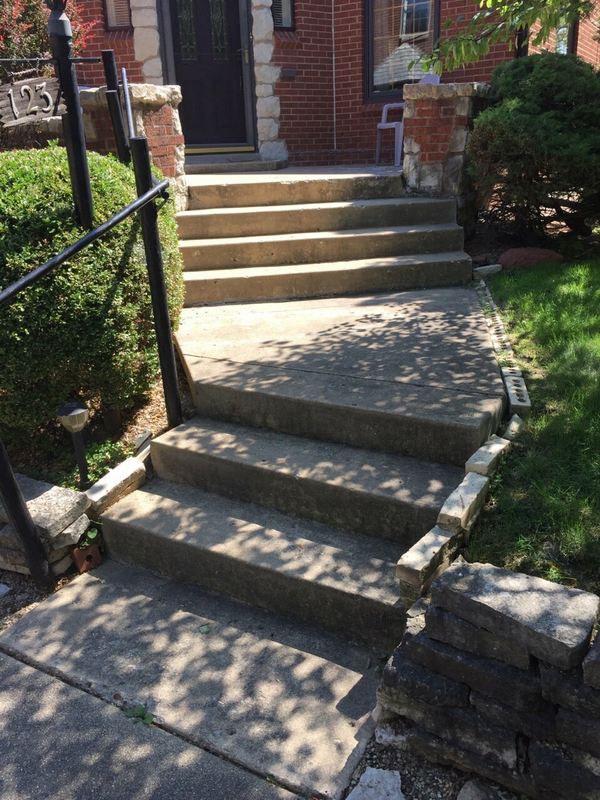 Adding stone is a wonderful way to make any project look fantastic!